Justice in Uttarakhand? Yes, but how much & for how long? Posted On May 24, 2016 by &filed under Legal Articles. 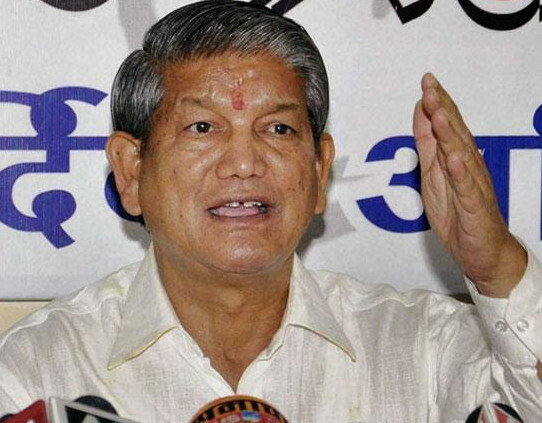 No gainsaying the fact that the Supreme Court of India has dispensed justice in Uttarakhand by restoring the Harish Rawat led Congress government supported by other splinter groups after defection by its 9 MLAs. But how much and for how long? The question still looms large. The origin of the trouble lay in the failure of the Uttarakhand CM, state and Central Congress leadership to stem the rot. Opposition party in the State or at the Centre whichever it may be, is the easiest whipping boy in such situations. When a group in any political party fails to be assuaged of its grievances, it is but natural for it to look for the opposition party to prove its righteousness. That is what happened in Uttarakhand. The disgruntled 9 MLAs sought succour with the opposition BJP ruling at the Centre. The second irritant was the refusal of the Speaker to accede to the demand of the dissident MLAs for a division after he announced passage of the Budget with a voice vote, knowing full well that these MLAs besides the opposition BJP were opposing it. Even in the normal course, it is a tradition with speakers to allow division whenever a member or group presses for. To cite only one instance, during the consideration of the amendments to the Vote of Thanks to the President in the Lok Sabha in March this year, a member refused to withdraw his amendment. It was put to vote. The Speaker after seeking Ayes and Noes, announced that the amendment stood rejected. But the mover of the amendment wanted a division which the Speaker instantly granted. Everybody knows that the ruling party at the Centre enjoys unquestioned majority. Yet the Speaker generously consented. But in Uttarakhand, when the majority of the Government was in serious doubt, it was but desirable that the division should have been allowed. That precipitated the matter. The matter is before the court. The Governor had fixed April 28 as the date for the CM to seek a vote of confidence on the floor of the House. In the meantime, CM sought disqualification of the 9 MLAs. On the eve of vote of confidence, the Speaker on April 27 — according to some media reports — after the promulgation of President’s rule by the Centre on that very day — disqualified them putting the CM in a win-win situation. Two days earlier had appeared a sting operation which clearly showed CM Rawat telling that he is willing to pay a hefty sum the next day after MLAs vote in his favour. How could this sting be brushed aside as a matter of no consequence without investigation? Should a government — and for that matter, even law and judiciary — allow corruption to take place and not take preventive action? On May 24 CM Harish Rawat, according to reports, was grilled by CBI on this very sting operation for about five hours. He will also be summoned again. There was a great drama on the judiciary level too. First, the High Court set aside the promulgation of the President’s rule and fixed date for vote of confidence. The CM instantly took charge again, held a cabinet meeting where some policy decisions were taken even without getting a copy of the High Court order. How could a CM who had yet to prove his majority in the House after three days take policy decisions? But nobody took offence to it. The Central government knocked the door of the Supreme Court which immediately stayed the operation of the High Court order and cancelled the date fixed for vote of confidence. The President’s rule stood imposed again within 24 hours and Harish Rawat was, once again, not the CM. After hearing both the parties during which Centre agreed for a vote of confidence, the Supreme Court directed that the President’s rule shall stand lifted for two hours between 11 AM to 1 PM on May 10 during which the assembly will meet for a vote of confidence. In other words Harish Rawat was again CM for two hours. This decision was followed by the announcement that the SC was to hear the petition of the 9 MLAs against their disqualification on May 9, a day before the vote of confidence. That added suspense to the whole drama. But on that day SC refused to stay the disqualification and directed that the concerned MLAs will not be allowed to vote. But SC fixed a regular hearing of the case after summer vacations in July. Obviously, this tilted the balance in favour of the CM. Needless to recall that in 2011 the Karnataka High Court, in a similar situation, had allowed 16 disqualified MLAs to take part in the vote of confidence sought by the then chief minister. After the count was over, a report was sent to the Supreme Court which on May 11 accepted that Rawat commanded a majority. The Harish Rawat government stood restored. But the Sword of Damocles continues to hang and torment the Rawat government. What will happen if in July the SC set aside the disqualification of the 9 MLAs? Then the result of the vote of confidence in the Assembly on May 10 will become a nullity. The absence of a final decision in the matter is responsible for injecting an element of uncertainty. What will be the legal position of the Rawat government and the decisions taken by it in the interregnum? The whole situation in Uttarakhand seems to be emerging like a circus. Nobody knows what will happen next. Leave aside the difficulties Harish Rawat will encounter because of re-alignment of political forces and his total dependence for subsistence on the support of independents and other splinter groups which are sure to demand their pound of flesh. The State is due for general elections after about 7 months. And nobody knows what will happen in between after two months. If political forces are responsible for the present mess in the State, the judiciary too has failed to clear the clouds by having not given its final verdict.